a St Patrick day witch! Comes with a cool tube to use too if you want it to really match!! 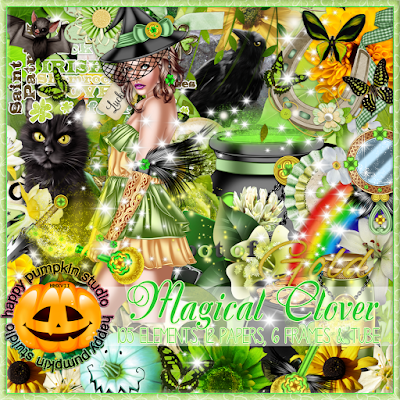 Kit is from Happy Pumpkin Studio "Magical Clover"